So the rumours are true, Jason Atherton is to leave Maze. So bored of the rumours about Jason leaving. theyre as true as those about me leaving to go and cook on the moon. So unless Jason is only on a months notice, Gordon must have known so why put it on Twitter? Come on Gordon, play the game. This is the latest in a big loss for Gordon Ramsey Holdings. 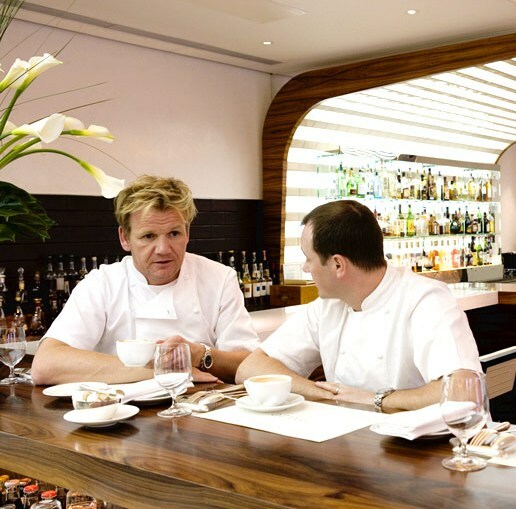 In May 2008 Marcus Wareing parted company in a rather acrimonious way that clearly still rankles Ramsey, stating in an interview in GQ that Marcus should concentrate on his own business rather than what he (GR) was doing. Earlier that year Bjorn van der Horst left GRH as La Noisette closed again to set up his own restaurant and his long time right hand man Mark Sargeant left Claridges & GRH in November 2009. Atherton has seen his format rolled out across the globe, with a Maze & Maze Grill opening only this week in Melbourne Australia. In London he also has a loyal following so it comes really as no surprise that he has made this final step. We’d like to wish Jason all the best for his next venture. ← Everything that is wrong with catering !!!! !